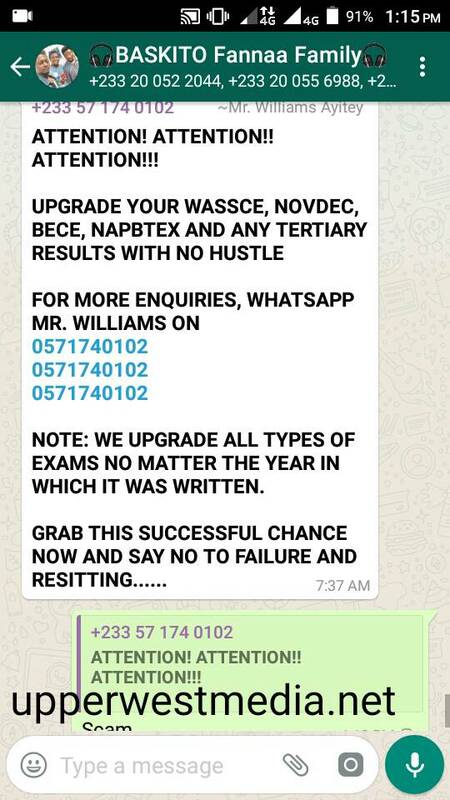 A self acclaimed results manipulator has hit WhatsApp groups claiming he can help change results for students who could not get the necessary passes to further their studies be it BECE, WASSCE, NAPBTEX, TERTIARY etc. The scammer by name Williams has been repeating the said message in WhatsApp groups to attract people vulnerable to the plan. We are therefore calling on the security forces to take it from there before more people are frauded. January 3, 2018 in Business.